Sen. Lindsey Graham, R-S.C., chairman of the Subcommittee on Crime and Terrorism, speaks to reporters after a closed-door security briefing by CIA Director Gina Haspel on the slaying of Saudi journalist Jamal Khashoggi and the involvement of the Saudi crown prince, Mohammed bin Salman, at the Capitol in Washington, Tuesday, Dec. 4, 2018. 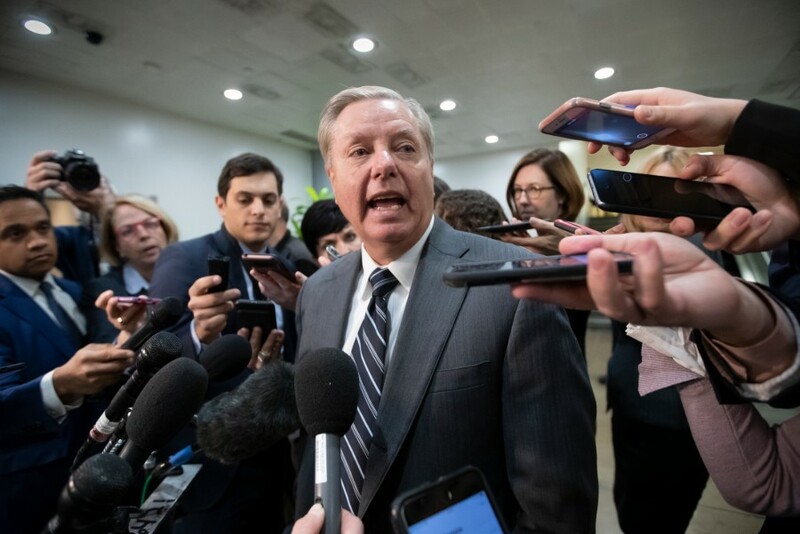 Graham said there is "zero chance" the crown prince wasn't involved in Khashoggi's death. Democratic Connecticut Sen. Chris Murphy said Haspel’s hourlong briefing did nothing to change his mind that bin Salman is directly responsible for Khashoggi’s murder. Khashoggi was a Washington Post contributor and legal resident of the U.S. at the time of his death. Middle East experts guessed Trump’s hesitation stems from the relationship the White House fostered with Saudi Arabia and the important position the U.S. has given the kingdom in the Middle Eastern region. “I’ve read in the media that the CIA has said with high confidence that the crown prince was involved with killing Khashoggi. I have not seen that intelligence nor have I even seen the conclusions,” Paul said on America’s Newsroom. What’s the chance any American president did not know of CIA assassinations in other countries? Hey Congress and CIA, heard the one about having a plank in your own eye?